minutes to Yonge & Sheppard, excellent shopping & entertainment!!! The Suites are very spacious and fully renovated with new laundry facilities in the building and a management office on site. 1. 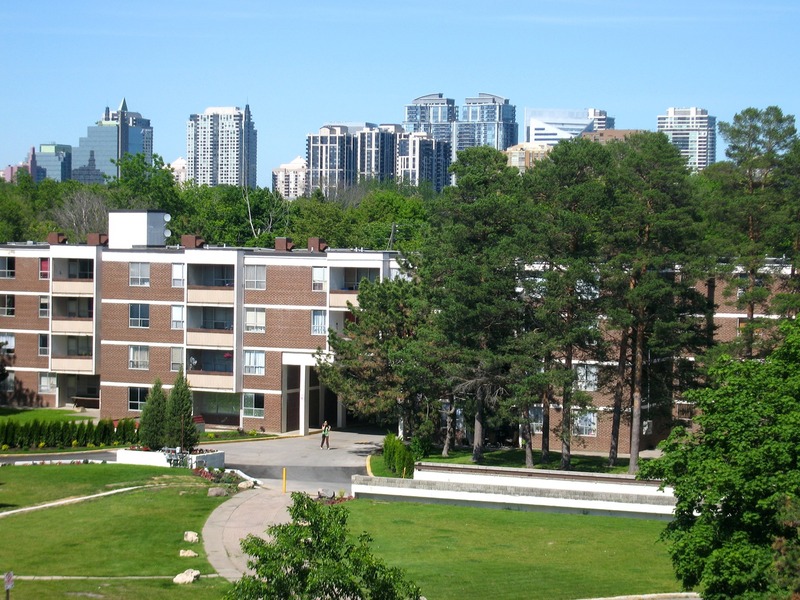 Only 10 minute walk from the Yonge subway line, which will take you wherever you plan to go in a split of a moment. Other unmatched amenities include: two major movie theatres, Mel Lastman Square and civic offices, North York Central Library that offers many family oriented drop-in programs and a huge array of books, great restaurants and the Douglas Snow Acquatic Centre. The area also has the North York Centre for the Performing Arts and the Solar Stage Theatre that puts on performances for children throughout the year and offers drama camp in the summer! 2. North York Shopping Centre offers all the shopping experience that can imagine and there is something for everyone. 3. Earl Bales Park is right here! There is a fantastic nature area for walking and having picnics. And there is great skiing and snowboarding during the winter months. 4. Bathurst Jewish Community Centre is a great meeting place for all members of the community in the neighbourhood. 5. You have a car, no problem we are just a minute from 2 major highways and Allen Express Road. This unique low-rise property offers very spacious suites with newly renovated balconies with park-like setting views. Amenities include: new laundry facilities thru out the property, outdoor and indoor parking. There is a Management Office on site to accommodate and attend to all resident needs and concerns. Outdoor pool is a great place to spent days in during the summer days.